According to a two-year study, video games can be bad for your mental health. Reuters is reporting that more than 3,000 school-age children were surveyed, and that one in ten could be classified as a video game addict. The study admits that these children were already prone to behavioral issues, but purports that video games intensified them. 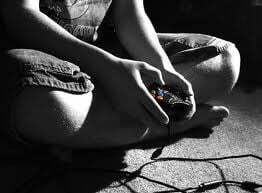 The notion that video games are best in moderation is less than enlightening, but the amount of children the study determined that were “addicted” or “pathological” gamers has given new fuel to a debate in the medical community. There has recently been question over whether or not “pathological” or “addictive” video gaming should be recognized as a mental disorder by the American Psychiatric Association. In 2005, the American Medical Association rejected formalizing video game addiction as a mental disorder. Gentile claims parents and healthcare providers have taken a backseat approach to this problem, and enough isn’t being done to combat it. Richard Taylor of the Entertainment Software Association believes this is simply a personal crusade against gaming. “We commend credibly, independent, and verifiable research about computer and video games. However, this research is just more of the same questionable findings by the same author [Gentile] in his campaign against video games,” Taylor told TG Daily. Gentile did indeed admit his study wasn’t without its flaws, and that the study participants were not randomly chosen. In 2009, Gentile conducted a study that labeled eight percent of its participants pathological gamers and in 2003, researched gaming’s effects on academic performance.